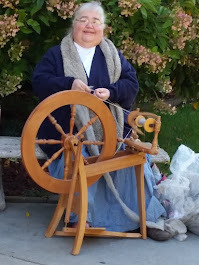 But, the caked yarn is dwindling, as you can see below. 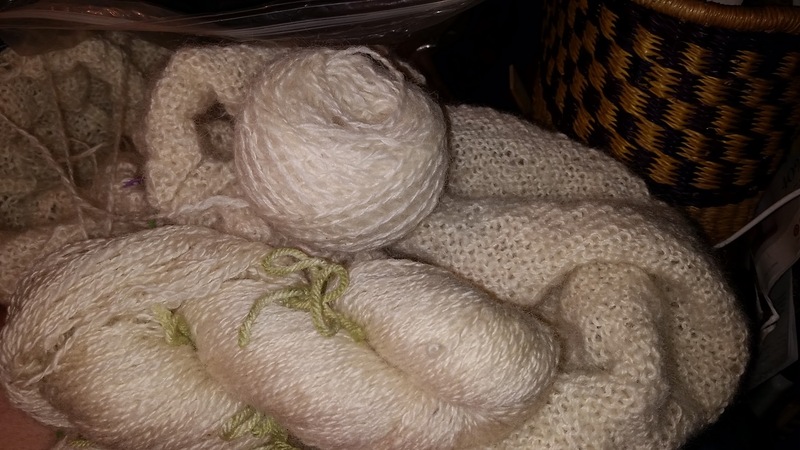 I raided the stash (such a useful thing, a stash), and found some of my handspun Leicester long wool blend. The color is close as shown in the twisted skein, although it is not quite as fuzzy. If necessary, it will be a close enough match to finish the shawl. 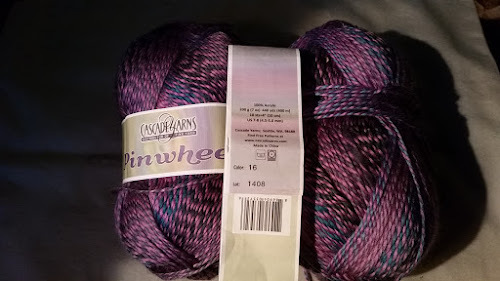 I think my yarn may have more of a sheen to it, just a bit. And with the end of this shawl in sight, startitis may be rearing its head. In spite of all the projects on needles already, I may have started something with the above yarn.